A new Dunkin' Donuts is set to open Friday on West Roosevelt Boulevard in Monroe, the company said. The company said people can register between 6 a.m. and 8 a.m. Friday for a chance to win free coffee for a year (The prize consists of 52 vouchers for a medium hot coffee). Here's Dunkin' Donuts' description of the new store: "The restaurant design features a warmer interior color palette with tan and brown hues and the signature Dunkin’ Donuts pink and orange, relaxing lounge-style seating for guests who want to eat inside the restaurant, digital menu displays, atmospheric lighting, free Wi-Fi Internet access as well as a drive-thru for faster service." Dunkin' Donuts has 17 locations in the Charlotte area. The MayoBird headed to East Blvd. Charlotte food truck The MayoBird is opening a permanent location on East Blvd., in what used to be a Bruegger's Bagels and Caribou Coffee location. "It's crazy, in a great way," said Mills. The former Caribou side will be MayoBird, and will be open all day. The former Bruegger's site will be a dinner-only concept called Summit Room. Mayo Bird uses free-range chicken, Duke's mayonnaise, local produce and locally-made bread from Nova's Bakery. They serve a variety of chicken sandwiches, salads and soups. Summit Room will have a "Southern-leaning" menu, Mills said, and will also use as many local ingredients as possible. The details haven't been hammered out yet. "We're in the midst of menu creation," she said. Mills said she opened the food truck late last summer. Before her entry into the restaurant business, she worked for the Panthers for 17 years. Work crews can be seen at the East Blvd. building, demolishing parts of the interior and taking garbage out to a Dumpster in the back. It's the first sign of life at the location in months. The site has been vacant since Bruegger's and Caribou closed last year. SouthPark mall is gearing up to add stores from American Girl and apparel retailer H&M in its Macy's wing, and recent building permits show some of the changes that are coming. The permits, available online here, are for the demolition of the interior space in Auntie Anne's, Nestle Toll House and Planet Smoothie. Those stores are located near the food court, at the end of the Macy's wing of the mall (map here). "Looking to get a demo permit for interior demo of the space. Demo is Non-load bearing. Would like to start demo while we wait on our building permit to get approved. Will be removing miscellaneous light fixtures, store fronts and interior walls," the contractor wrote in the application. American Girl - which I hear from dads with daughters is hugely popular - is set to open in the fall. There's no opening date yet for H&M. The mall is owned by Simon Property Group, which also owns Concord Mills. At 1.6 million square feet, SouthPark is the region's largest enclosed shopping center. According to Simon's most recent annual report, SouthPark is 94 percent leased. Publix Super Market's new Ballantyne store - the retailer's first Charlotte location - is set to open in late February, spokeswoman Kimberly Reynolds said. An exact date hasn't been set, but the store will likely do so in the coming weeks. Publix is waiting for a temporary certificate of occupancy. The Ballantyne store will join two locations just over the South Carolina border, boosting Publix's total store count in the area to three. You can check Charlotte.Publix.com for more information on the planned openings for other area stores. The grocer plans a total of 14 local stores for its new Charlotte-based division. Publix is also opening stores in Cary, Winston-Salem and Asheville as it pushes into North Carolina. The Kmart on Freedom Drive - Charlotte's last - is closing in the coming weeks, and the store is holding a going-out-of-business sale. An employee at the store said a final date for the store hasn't been set. That will depend on how long it takes to sell out the remaining merchandise. The Freedom Drive store is the final Kmart in Charlotte city limits. Remaining locations include Kmarts in Pineville, Gastonia, Rock Hill, Concord and Monroe. The closure comes amid continuing dismal results from Kmart and its parent company, Sears. In early January, the company warned investors to expect a big loss for its fiscal year ending Feb. 1. The retailer said it will report a full-year loss of at least $1.3 billion, worse than last year's $930 million loss. Sales were down 3.7 percent year-to-date at Kmart, and 3.9 percent company-wide. "We continue to reduce unprofitable stores as leases expire and in some cases accelerate closings when circumstances dictate," the company wrote. Kmart and Sears are closing stores around the country. According to news reports this month, Kmart is closing stores near Dayton, Ohio; Orlando, Florida; Montgomery, Illinois; Fergus Falls, Minnesota, Mount Pleasant, S.C. and three in Wisconsin. And that's just the first page of news results on Google. The Shelby Star also reports that a Sears store in Shelby is closing in April. So what do you think: Do Kmart and Sears have a future? Do you still shop there? If not, why? What could bring you back? Two new stores are set to open soon at Concord Mills, the mall said, and more retailers are getting a facelift. Children's clothing retailer Janie and Jack is opening an outlet store near Michael Kors at Concord Mills in May. An exact date hasn't been set. This will be Janie and Jack's first outlet location in North Carolina. Here's the store's description of itself: "Providing a wide selection of fashion-forward apparel for newborns, toddlers and children up to size 6, the chic children’s retailer will offer finely crafted clothing and accessories at incredible prices." Buckle is set to open in July, across from Forever 21. The retailer is aimed at young adults. The store carriers designer jeans, apparel, accessories, shoes and accessories. Buckle describes itself as "a leading retailer for trendy young men and women featuring a wide selection of brand names and private label casual apparel, like Buffalo, Fossil, Hurley, Oakley, PUMA and Roxy." Three retailers are also undergoing extensive renovations. Eddie Bauer Outlet and Off Broadway Shoes are set to reopen in late February, while American Eagle's factory store will reopen in March. And in addition to the updated stores, a touch of sea life is moving to Concord Mills: The mall's new 36,000-square-foot aquarium is also set to open Feb. 20. First, we were told the Carolina Place H&M was set for December, then that the apparel retailer would open Jan. 16. Now, however, the store is saying the opening has been pushed back to mid-February. "We're all excited for the opening of H&M, and it's not going to be much longer! The new date is mid-to-late February. Some reports are still showing the opening date as Thursday, January 16. Please note that the store will not open on this date. We'll let you know as soon as we have the exact date," read a message posted on the mall's Facebook page. The 17,000-square-foot store in Pineville will be H&M's second Charlotte-area location, joining the recently-opened store at Northlake Mall. It will be located in Carolina Place's upper level, near the Dillard's store. A third H&M is planned for SouthPark mall, in the Macy's wing. Brevard Court, the outdoor row adjoining Latta Arcade uptown, will soon have a new restaurant serving Pho, the Vietnamese soup. 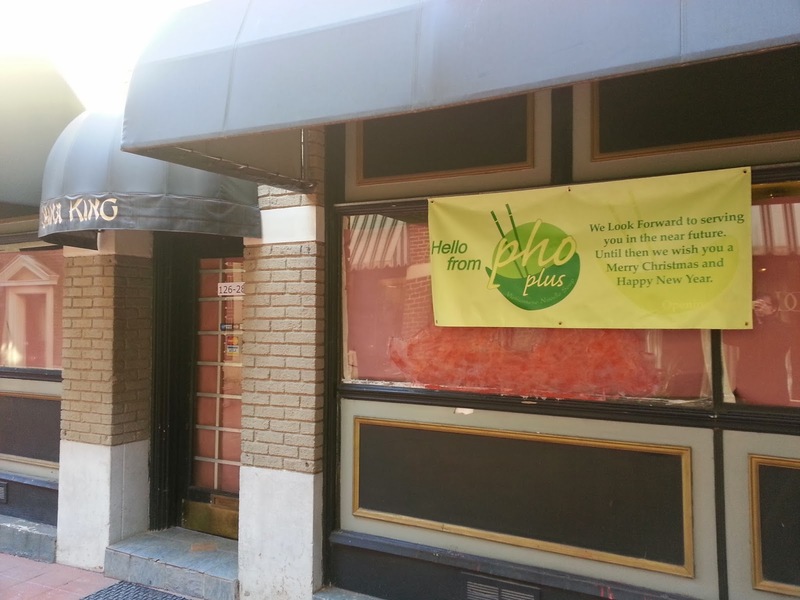 The restaurant, called Pho Plus, is going into the space formerly occupied by China King (whose name is still on the awning). The restaurant doesn't give an opening date. Here's a Wikipedia definition of pho, if you're not familiar: "Pho is a Vietnamese noodle soup consisting of broth, linguine-shaped rice noodles called bánh phở, a few herbs, and meat." Brevard Court still has several unfilled spaces, including the store left empty when Alexander Hats moved to a new location off East W.T. Harris Blvd. The opening of Romare Bearden Park across the street, along with the planned new minor league ballpark next door, should add to Brevard Court's traffic. 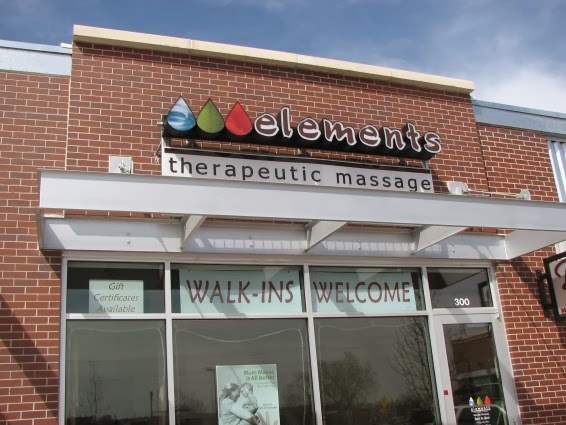 A local franchisee is opening a second Elements Massage location in Charlotte, this one in the Kenilworth Commons shopping center in Dilworth. The location was formerly a dry cleaning store. Elements plans to open Saturday, Jan.18. 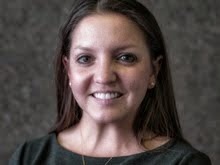 "What sets us apart is our dedication to listening to clients’ needs in order to pair them with the right massage therapist," said Lucy Anderson, a Charlotte native and owner of the new Elements. "We identify key details such as type of massage desired, specific pressure needs and individual issues before matching clients and therapists." The store will be open seven days a week, and accepts walk-in clients. 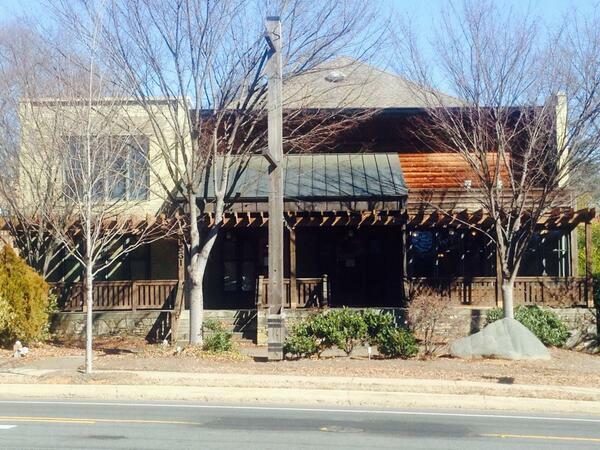 Elements joins other massage studios in Dilworth, such as Zen Massage, Dilworth Bodyworks and Day Break Massage. 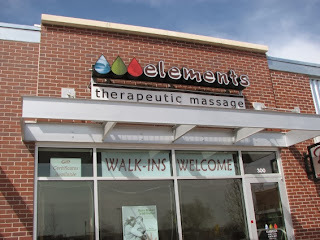 Elements opened its first Charlotte franchise in 2011, near SouthPark mall. The Rack Room Shoes located in Park Road Shopping Center is closing, adding to the list of merchants closing their doors at Charlotte's original suburban retail center. The shoe store's last day of business is set for Saturday, an employee said. Everything is 50 percent off for the location's closing sale. There are a half-dozen other Rack Room locations in Charlotte. The Park Road one is the closest to uptown and the city's central neighborhoods. Park Road Shopping Center was bought by EDENS more than two years ago for $82 million. Since then, the new owners have given the 58-year-old shopping center a face lift, with new finishes, a redone parking lot and other renovations. But smaller merchants have also complained about rising rents under the new owners, as my colleague Eric Frazier wrote about in September. Since then, other businesses including Roland's Salon and Piedmont Music Center, have closed at Park Road. What do you think of the changes at Park Road Shopping Center, both to the way the center looks and to the merchant mix? This week, a reader called the Observer with an interesting question about Salisbury-based Food Lion's plans for its meat counters: Is the company planning to get rid of them? The questioner had noticed the meat counter being removed at his local Cornelius store. We asked Food Lion spokeswoman Christy Phillips-Brown, who said no, that meat counter is just being switched to a different model "to make it more consistent with cases in our other stores." Phillips-Brown said the company is running a pilot program at its Roanoke-area stores with new "sealed-fresh" beef products. Vacuum-packed in individual plastic, the cuts of beef arrive ready-to-sell at each store, meaning there's no need to cut meat in-store. Click here for a November story from WSLS in Roanoke, in which Food Lion director of operations Rob Ward discusses the merits of sealed beef. It stays fresher longer, and no spilled blood from any packages in your refrigerator, said Ward. Ward said the program is in 61 Roanoke-area stores. In the WSLS story, you can watch him and another Food Lion market manager grill a steak. The packages resemble what you get at Trader Joe's, which doesn't have in-store butchering, but sells vacuum-packed individual cuts of beef. Food Lion is a subsidiary of Belgian grocery conglomerate Delhaize. The company is attempting to improve its results and increase its market share under new CEO Beth Newlands Campbell, who put it simply in August: "We just have to get better." Rivergate Shopping Center in Steele Creek is expanding, and a reader emailed me Wednesday to check out a rumor: That a new Trader Joe's would be a tenant. Turns out that rumor isn't true, according to John Dosser of Childress Klein Properties, the developer expanding Rivergate. "I can confirm that Trader Joe's is not a tenant we are currently working with," Dosser said via email. Childress Klein announced the expansion in November. The Shops at Rivergate South, as its known, will be 150,000 square feet, on 22 acres adjacent to Rivergate. Anchor tenants include HomeGoods, Michaels and Ulta Beauty. The expansion is slated to open in late summer. There are three Trader Joe's stores in Charlotte (map), one each in the city's north, south and near uptown. Where do you think Trader Joe's should build more stores? Alexander Scott, the interior store that's been a fixture on East Blvd. for three years, plans to move next month to a new space on Providence Road. The current store, located in the gated McColl building at 208 East Blvd., will close on Jan. 31, co-owner David Newcombe said. The new location is in the former Paul Simon store on Providence Road, in the Myers Park Center next to the new Mega Harris Teeter. Newcombe expects to open in early February. "We love the building, but East Blvd. is a tough street to be on," said Newcombe. Many of Alexander Scott's customers come from Myers Park and Eastover. "We're not on their beaten path. We're going to go to their neighborhood so we can be more accessible to them." The new store will be smaller than the current location, with 25 vendors selling home goods and accessories. That's down from 70 at the East Blvd. store. Newcombe said that the smaller space offered a chance to pare the store's selection. "I really wanted to streamline it and bring the best of the best," he said. "If it's too big, it becomes very redundant." Alexander Scott is a multi-merchant store, meaning multiple vendors lease space to sell their goods there. Other multi-merchant stores in Charlotte include Blacklion and Slate. "Multi-merchant marketplaces are everywhere, so it's paramount we set ourselves apart," said Newcombe. Revolution moving from EpiCentre to East Blvd. An uptown apparel retailer is moving from its EpiCentre location to a new store on East Boulevard next week, after five years at the mixed-use entertainment complex. Revolution plans to close its EpiCentre location on Jan. 15. Its new store is located at East Blvd. and Cleveland Street, in a renovated building. The East Blvd. store will carry premium denim and designer clothes for men and women, as well as jewelry, shoes, accessories and gifts. Here's a picture of the new Revolution shop, from their Facebook page. The building has been extensively redone over the past few months, and is set to open on Thursday. Revolution is running sales at its uptown store until the location closes. Uptown's relatively small retail selection has long been a sore point with many (I used to live uptown about four years ago, and I had to drive out of uptown to buy anything besides food). What do you think about the uptown retail scene? Do you think there are enough residents and visitors to support more stores now?